Falling ill on holiday is, at best, an inconvenience. But, depending on how serious your illness is, it can ruin your trip and continue to affect you long after you return home. If the illness was caused by another party's negligence (for example, food from a hotel restaurant gives you salmonella food poisoning), you shouldn't have to suffer without receiving compensation. At Thompsons, we're here to help you do exactly that. Below, Thompsons' expert solicitors answer some of the most commonly asked questions by clients pursuing a holiday illness claim. I suffered food poisoning on holiday abroad. What can I do? Tour operators are responsible for selecting clean, safe venues for their customers – that’s what you’re paying for, after all. Many common holiday illnesses are avoidable if good food hygiene procedures are followed, but sadly this doesn’t always happen. Your tour operator can be held responsible for your health and safety during your holiday. If they fail in their obligations to you, and you become sick as a result, you may be entitled to compensation. If you suffer an illness abroad because of your hotel or service provider’s negligence, you can claim compensation for your own illness. You can also act on behalf of your children under the age of 16, and anyone who lacks the capacity to manage their own legal case. In the unfortunate event of a friend or family member dying as a result of a serious illness contracted abroad, you may act on their behalf as a ‘litigation friend’. If you booked an all-inclusive package holiday, you are protected by the Package Travel Regulations 1992. The Regulations impose a duty on your tour operator to ensure the services provided to you as part of your holiday contract are supplied to a reasonable standard. What makes my holiday a ‘package'? Your confirmation invoice should make it clear whether or not you booked a package holiday. Our personal injury solicitors can advise you if you are unsure. I did not book a package holiday. Can I still claim? Yes. However, you do not have the same level of legal protection. If you do not book a package holiday and something goes wrong, you can only pursue the provider of the service in question. So, for example, if you suffer food poisoning after consuming food within the hotel, you can pursue the hotelier. These claims are much harder to pursue as they are subject to the law of the country you visited. The laws of negligence and local standards vary considerably, and these claims are often more expensive to pursue than the level of compensation obtainable. If you did not book a package holiday, our solicitors can advise you of your options. A tour operator offers holiday and activities abroad to their customers. They put together the travel and accommodation elements of your holiday. You can book with a tour operator by visiting a travel agency or booking online. Widely-known tour operators include Thomson and Jet2 Holidays. A travel agent offers a means for the customer to find and book a holiday best suited to their needs and budget. The travel agent, however, is not responsible for the holiday once it is booked and paid for. This responsibility lies with your tour operator. Always make your holiday rep and the hotel staff are aware of any concerns. Make sure your concerns are noted in writing. What are the symptoms of food poisoning? When should I see a doctor? Symptoms vary depending upon which pathogen caused your illness. You will generally notice symptoms anywhere from a few hours to one or two days after eating contaminated food, although the signs can take up to several weeks to manifest. You should drink plenty of water to keep yourself hydrated and rest until you feel better. If you have pre-existing health conditions, severe symptoms, signs of dehydration, or symptoms which do not improve after a few days, you seek medical advice. Children with suspected food poisoning should always be checked by a doctor. Generally, a claim must be made within three years from the date of an accident or illness. However, you may have less or more time to claim depending on the circumstances. If you went on a cruise, booked anything other than a package holiday, or your child suffered from illness, your solicitor will advise you which time limits apply. We recommend you always seek legal advice as soon as possible. What does ‘No Win, No Fee’ mean for me? No win, No Fee means you have nothing to lose by making a claim. You do not pay Thompsons anything if we cannot secure compensation for you, so you needn’t worry about how to fund your claim. If your claim is successful, we will always try to recover our fees and outlays from the other side. However, when this is not possible, we retain a portion of your compensation to cover our costs. 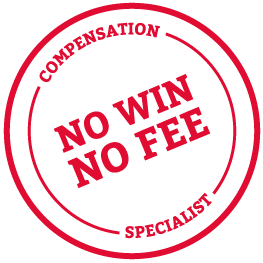 Your solicitor will be happy to answer any questions you have about our No Win, No Fee service. I want to claim. What happens next? Our friendly contact centre staff will be your initial point of assistance. They will talk through your claim and take sufficient details to allow a solicitor to assess your chances of success. If we believe there is a reasonable chance of obtaining compensation for you, we will open up a file and begin our initial investigations. We must allow your tour operator a period of 6 months to consider your claim and decide whether or not they will accept liability. During this time, we will gather as much evidence as we can in support of your claim. Just as holidays vary considerably, no two claims are entirely the same. Depending on the outcome of these investigations, your solicitor will advise you what happens next. note down names and contact details for other guests who also felt unwell, or who you told about your symptoms, if they would be happy to be contacted as witnesses. If my claim is successful, how much compensation will I get? Once our solicitors have fully reviewed your claim and your prospects of success, we can advise you as to what level of compensation you may expect, but each case very much depends on its own facts. What if I did not visit a GP or hospital? For your own benefit, we recommend you always seek medical assistance abroad if you suffer illness. Seeking advice means you receive an accurate diagnosis and the best possible treatment. If, for whatever reason, you do not seek medical help abroad and you still feel unwell upon returning home, speak with your doctor as soon as possible to make sure you receive proper treatment. If you are recovered now and did not seek medical assistance at any time, your solicitor can advise you whether or not this may affect your claim. Who should I report my illness to while on holiday? Tell your holiday rep. You may be reluctant to discuss your symptoms, but remember your rep is there to offer the help you might need. Make sure to get written confirmation of your complaint, and note down any other information provided to you, such as directions to a pharmacy. If you are unhappy with how your rep handled your complaint, remember to report this to your tour operator when you get home. You can also report your illness to the hotel manager. Again, make sure they log your complaint. Be sure to ask the hotel management to confirm your complaint in writing. Upon returning home, you may want to email or write to your tour operator to see how they plan on dealing with your complaint. If you can show you gave your tour operator and/or the hotel the chance to help you while you were still on holiday, this strengthens your claim. I did not report my illness to anyone. Does this affect my claim? Once you return home, contact your tour operator in writing and tell them exactly how you felt. You can also contact the hotel. However, once you’re home, it’s easier and quicker to report your illness to your tour operator. If you complete any surveys or questionnaires before leaving the resort or upon returning home, be sure to mention your illness and how it made you feel. Any attempts you make to inform your tour operator of your illness help strengthen your claim. If you have not reported your illness to anyone, be sure to tell your solicitor so they can go over your options with you. What if I did not stay all-inclusive? If you did not stay all-inclusive, then each day of your holiday you will eat food which is not protected by your booking contract. For example, if you book breakfast-only, your tour operator is not liable for food and drink consumed during lunch or dinner. You may still be able to make a claim against the hotel itself, but such claims are far from straightforward and often more expensive to pursue than the compensation available. I ate outside the hotel during my holiday. Can I still claim? On an all-inclusive holiday, it is much easier to show the food included with your package made you unwell if you only ate or drank within the hotel. If you eat outside of the hotel, you are exposed to possible unsafe procedures that your tour operator has no control over. This is particularly the case if you eat outside of the hotel before becoming ill. We assess claims on a case-by-case basis. Our solicitors will discuss with you what you ate on holiday and advise if we can help. I went on an excursion during my holiday. Does this mean I can’t claim? If you went on an excursion booked with your tour operator, and the hotel provided a packed lunch, this should not affect your claim. If you consumed food or drink that was not provided by the hotel, your solicitor can advise you whether or not this will affect your claim. I did not have travel insurance. Can I still claim? Yes. Booking a package holiday generally gives you additional protection when things go wrong with, for example, your flights or hotel. We recommend taking out travel insurance for additional protection in the event you become ill or suffer injury through an activity out of your tour operator’s control. This can be, for example, sleeping in and missing your flight, or injuries on nights out. Without travel insurance, you will have to pay for assistance such as medical care and new flights if you can no longer travel home on your pre-booked flight. However, your right to claim compensation for food poisoning suffered while on an all-inclusive package holiday is generally not affected by whether or not you have travel insurance. What if I became ill on a cruise? Cruise companies still owe you a duty of care for any illness or injury suffered while on board. If you are able to claim under the Packet Travel Regulations, your rights are very similar and you still have three years from the date of illness to claim. If you are not claiming under the Regulations, something called the Athens Convention 1974 applies to cruise claims. You only have two years from the date of illness to make a claim if the Convention applies, so our advice is to seek legal assistance as soon as possible. Our solicitors can advise you of your rights and how we can help you. If your claim is successful, the insurers responsible for your tour operator will pay the compensation. Why should I pursue my claim with Thompsons? At Thompsons, we not only provide the best possible service from expert solicitors, but we challenge the law where it fails our clients. We actively campaign to make our legal system fairer and more accessible to everyone, and you can rest assured we will look after you and your claim with the same level of commitment and motivation. We have been involved in a number of significant cases resulting in legal change benefiting our clients, including ensuring asbestos pleural plaques remained actionable in Scotland despite legal threats and advancing employment rights for the benefit of all. Central to our ethos is ensuring we only ever act for an individual or injured party. We never represent companies or insurers, and our commitment to justice for our clients shapes everything we do.